Conference registrations cancelled on or before 12:00 noon Mountain Time on February 7, 2019 will be entitled to a full refund less a $15 handling & processing charge. Registrations cancelled after this deadline will not be entitled to a refund. Ms. McCord is President and CEO of EQ, The Equity Quotient, a national training and organizational development firm dedicated to supporting nonprofits interested in becoming more just and equitable community partners, with equity, diversity, and inclusion as outcomes of their work. EQ’s expertise and its curriculum provide Dismantling Racism training for the field of arts and culture, grounded in an analysis of the history, policies, and practices of the field. Keryl McCord is a veteran arts manager and administrator with thirty-five years of experience in many facets of the arts. Her background includes managing director of two equity theater companies: Oakland Ensemble Theater Company, a five-hundred seat theater in downtown Oakland, CA, and Crossroads Theater Company, New Brunswick, NJ, the only black run member theater of the League of Resident Theatres (LORT) at the time. Crossroads Theater Company was the first such company to receive the Tony Award for Outstanding Regional Theater and also received 4 Tony nominations for It Ain’t Nothing But the Blues, transferring to Broadway from Crossroads in 1999. Ms. McCord led the League of Chicago Theaters/ League of Chicago Theaters Foundation, leaving Chicago to take a post at the National Endowment for the Arts as Assistant Director of Theater Programs, and then Director of Theater Programs in 1991. She served on the executive committee of the National Black Theater Summit on Golden Pond in 1998, convened by the late Pulitzer Prize winning playwright, August Wilson. She was a founding board member, and Senior Vice President of the African Grove Institute for the Arts (AGIA), Newark, NJ, of which Mr. Wilson served as chairman. She remained with AGIA until Mr. Wilson’s passing, when she then went on to serve as Director of Institutional Development for New Jersey Symphony Orchestra. In December 2016, after more than seven years as Managing Director, she retired from Alternate ROOTS to launch EQ. ROOTS is a 40-year-old nationally recognized, regionally focused network and service organization for activist artists in the South. Ms. McCord was responsible for overall day-to-day management, including fundraising and development, shepherding the organization through a period of unprecedented growth, raising more than $5 million dollars during her tenure. Ms. McCord has consulted for many nonprofit arts organizations in the areas of institutional development, strategic fundraising, community and cultural organizing, she provides small and large group facilitation for conferences and other types of convening, and she is a skilled presenter and public speaker. Clients include the Wisconsin Arts Board, Madison, WI; Arts Midwest, Minneapolis, MN; National Performance Network, New Orleans, LA; The Center for Performance and Civic Practice, Phoenix, AZ; Junebug Productions, New Orleans, LA; Spirithouse, Durham, NC; Su Teatro, Denver, CO; Myrna Loy Center for the Arts, Helena, MT; Dance USA, Washington, DC; National New Play Network, Washington, DC; and the New Brunswick Jazz Project, New Brunswick, NJ. 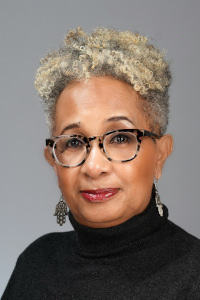 She is an Advisor for the New England Foundation for the Arts, National Theater Project, and has served as a panelist for the Joyce Foundation, the Robert Rauschenberg Foundation, and the National Endowment for the Arts, among others. EQ has conducted Dismantling Racism workshops with: League of Chicago Theaters, Chicago, IL; High Museum of Art, Atlanta, GA; League of American Orchestras, New York, NY; DePaul Theater School, Chicago, IL; Fractured Atlas, New York, NY; National New Play Network, Washington, D.C., and New England Foundation for the Arts.